Seattle Angel, a non-profit corporation: Do Angel Investors actually make money? 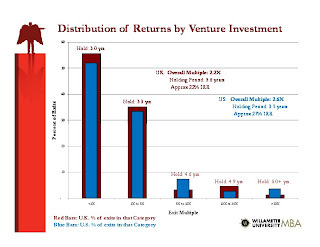 Do Angel Investors actually make money? We have all heard the story of the guy working at XYZ big company, who over time becomes an SEC Qualified Investor. He gets approached by some co-workers who have a great idea. He invests $100K into this great idea with very little due diligence. In the end his friends loose all the money and kill the company. Perhaps they damage relationships along the way. And in the end, our investor decides that Angel Investing is a bad idea. On the other hand, we seem to see groups of people who are investing on a regular basis and they seem to be happy to continue even when for years, the only thing they get back is investments that have failed. While entrepreneurship and Angel Investing take a serious amount of optimism, what is it that keeps people engaging in Angel Investing. Fortunately, we have Rob Wiltbank conducting on going research about the results of Angel Investing. 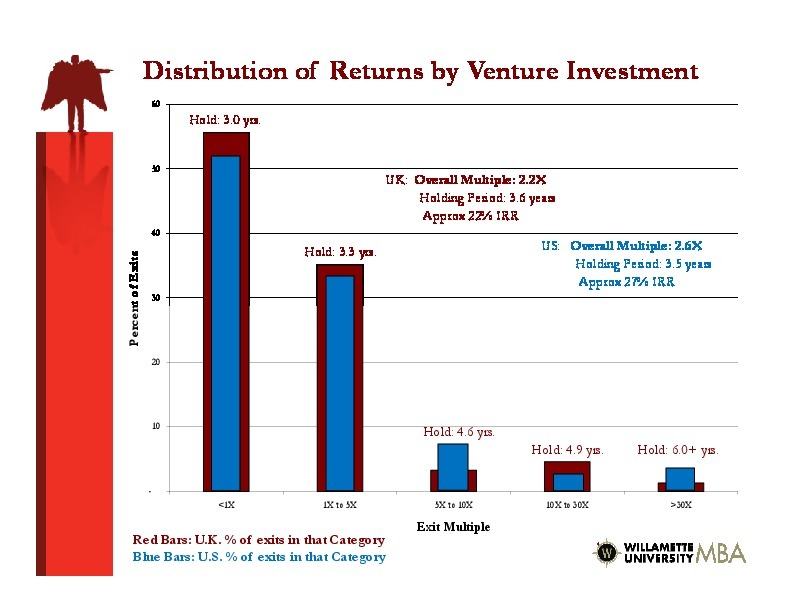 He recently posted some results in a TechCrunch Article: http://techcrunch.com/2012/10/13/angel-investors-make-2-5x-returns-overall/ , showing that under some circumstances, groups of Angel Investors are making 2.5 times their investment returns. Which translates to something around a 27% annualized return rate. 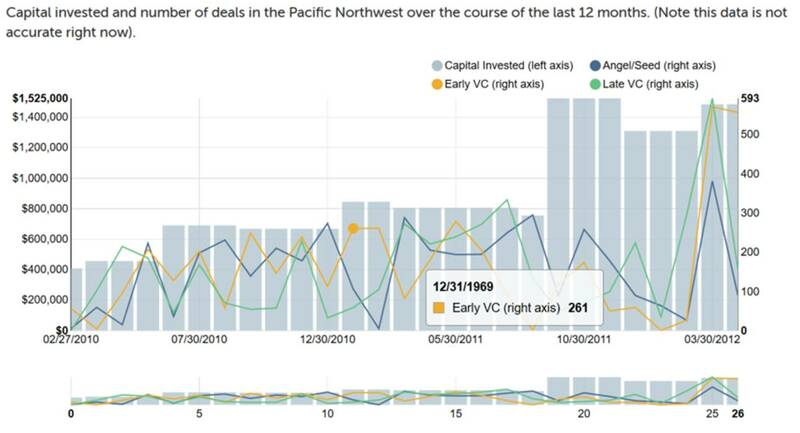 Take a look at the graph and notice that 60% of the deals end up loosing some or all of the money that was invested. In addition, companies that fail tend to die earlier than companies that succeed. So it would not be unexpected to have multiple years of losses before you start seeing investments that succeed. This makes it difficult to distinguish a series of just bad investments from a normal collection of good investments. However, by following some specific guidelines, Angel Investors have a better chance making a reasonable return. Effective Angel Investing begins with doing a reasonable amount of due diligence on companies, which are in an industry that you understand and that you have relationships and contacts. Copyright © 2013 Seattle Angel. Awesome Inc. theme. Powered by Blogger.